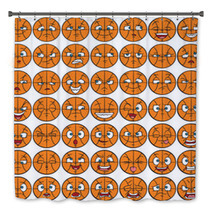 The 49 Facial Expressions Set - Basketball Character graphic is on hand in an array of home furnishing products from wall tapestries, to fleece blankets, to floor mats and custom size curtains, and even baby comforters or custom size shower curtains. 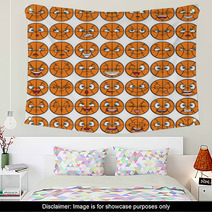 Entire Smiley Face themed collections are available for your bedroom, bathroom and almost any room in your house. 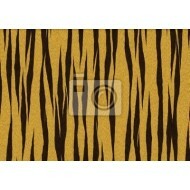 What about a new soft area rug for your entryway? 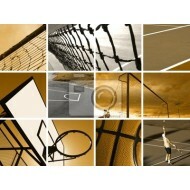 Let us change the main color or any color within this pattern to ANY shade you want. We can also print a unique message anywhere within the graphic. 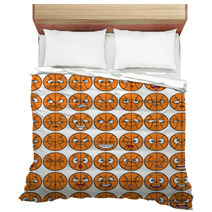 VisionBedding’s custom options are almost unlimited. 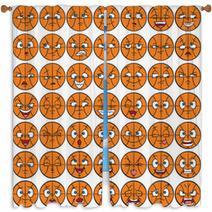 Let us change the accessory objects or the central object within this specific 49 Facial Expressions Set - Basketball Character pattern. 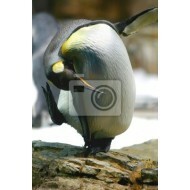 When you’re prepared to add a rug to your living room, it’s important to not set aside style for value. 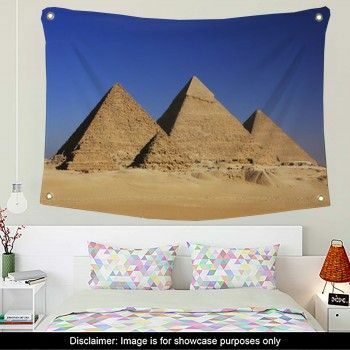 A rug may be the accessory that puts the finishing touch on your newly designed room and be the joining piece between your existing furniture and decor. 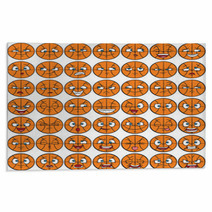 A 49 Facial Expressions Set - Basketball Character area rug could be the item you’re looking for, whether you are going for something less spacious for detail or something bigger to catch the focus of any visitor who walks in the room. 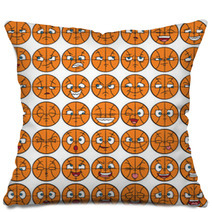 It’s the ideal accessory for any room that could benefit from a splash of personality. It’s crucial to think about not only the size and scale of the items within your living room but also the distance between each one. Ensure your sofa is the appropriate distance from your TV stand. Create enough room behind a table to push out your chair. 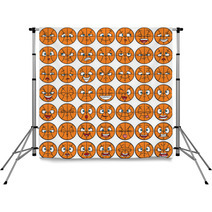 This distance will play an important part in the design of your space when arranging your brand new 49 Facial Expressions Set - Basketball Character decor product.